Renel was very involved in music throughout junior high and high school. At Skyline High, under the direction of Jim Miller, she performed in several choirs including Concert Choir, and in many musicals and plays. During her senior year, she played the lead in “How to Succeed in Business Without Really Trying.” Renel later joined Ars Nova, under the direction of Lex de Azevedo then went on to join her brother in “The Musical Score” directed by a very young and talented, Barlow Bradford. She took several years off to finish college and start a family, but later reconnected with Barlow and his new choir, Utah Chamber Artists just after its inception. 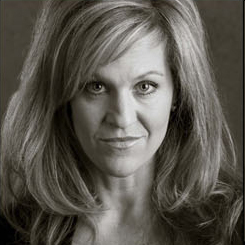 As one of the original choir members, Renel has been performing and recording with Utah Chamber Artists all over the US and overseas for 20 years and counting. Renel has been a nurse since 1991 and a Cardiovascular/thoracic surgical nurse for nearly14 of those year. She lives in Holladay with her husband Kent and their son, Miles, both of whom are talented and accomplished musicians in their own right. They have two dogs and love to spend time together in the mountains, hiking, biking and running.